M1 Ops Hellfire, the name says it all. 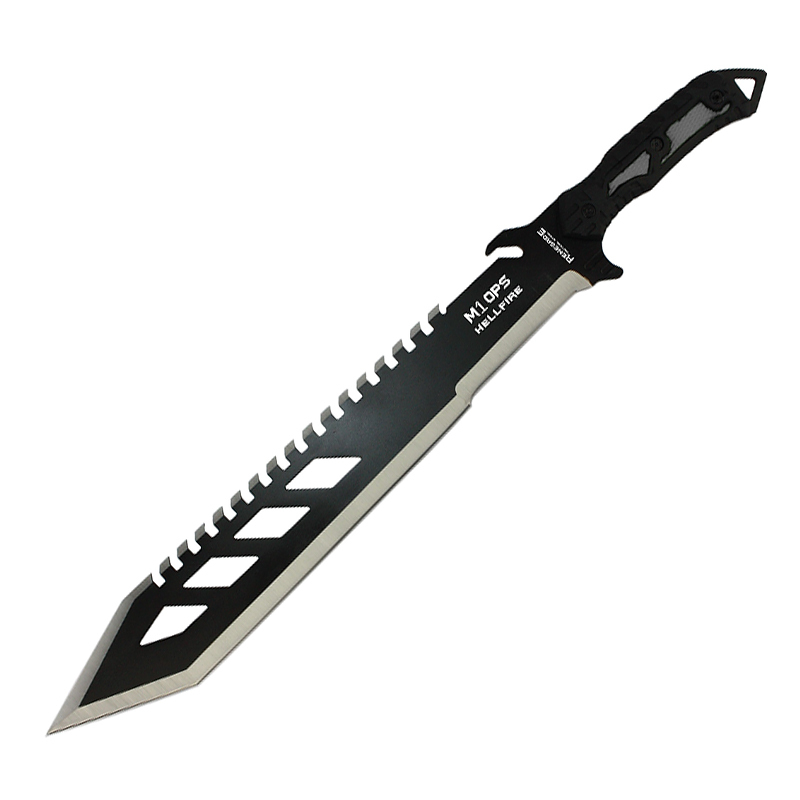 This may be the only tool you ever need in order to survive. 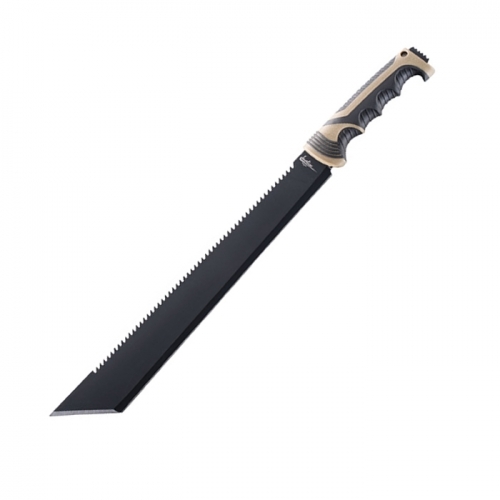 The heavy ridged back acts like a saw and the thick steel used can chop thru the most dense underbrush and can clear small trees with ease. 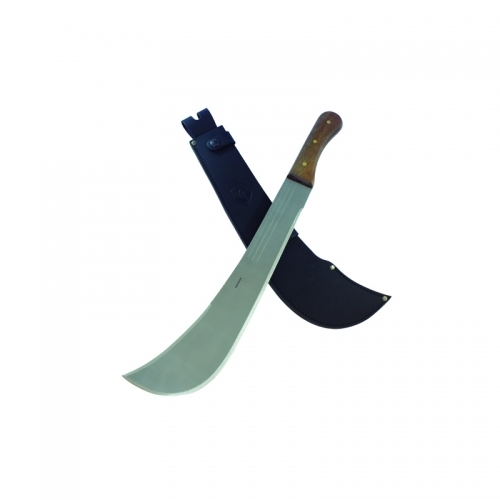 Full tang construction and a non-slip, form fitted handle will make this a must have survival tool for your next adventure. 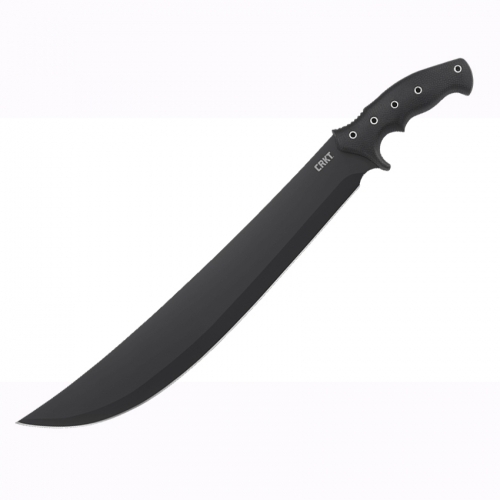 Specifications: Blade length: 18.25 in. Overall length: 24 in. Steel: 3.5 mm 3Cr13 stainless. Handle: rubberized ABS. 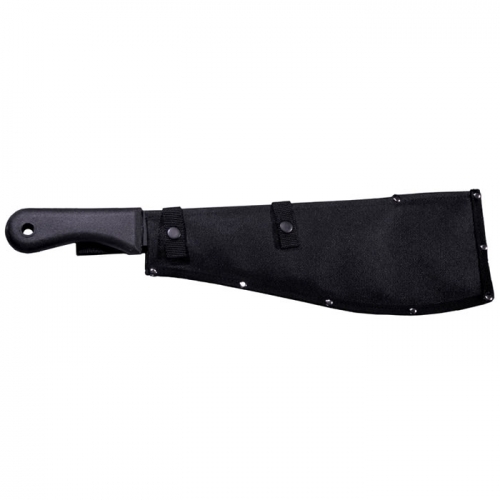 Sheath: 1680D nylon.